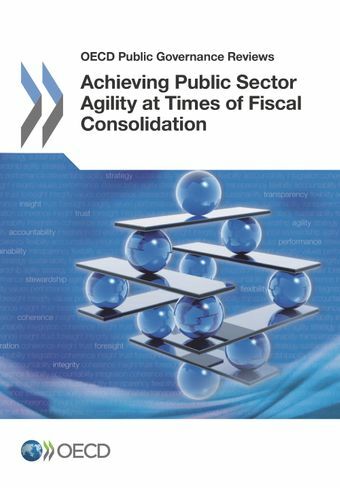 Agility is a tool that can help governments to not only maintain but even improve public services in a time of fiscal consolidation. Financial uncertainty is not the only challenge governments face today. Changing demographics, globalisation, climate change, risk of potential large-scale disasters are among the many others. Agility can help governments meet these challenges as well. It's also not enough to be "agile". Governments must be quick and responsive in a strategic way. This means being aware of emerging opportunities, being able to make tough collective decisions and stick to them, and mobilising appropriate financial and human resources rapidly and efficiently to where/when they are needed most. This publication is supports reforms towards greater strategic agility in the public sector including the use of budgeting policy levers, human resource management strategies and ICTs. It presents, in a sense, a toolkit for reform, together with a broader framework for action, taking into account the enabling factors and potential risks that may occur. This report is also an attempt to show that the public sector has the capacity to reinvent itself during difficult times and that large public sector organisations are able to take on the challenge.